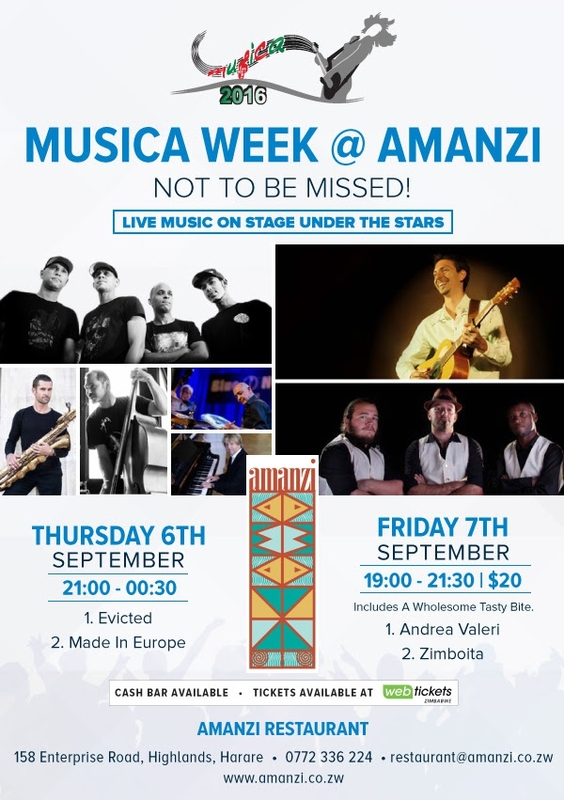 Musica Week at Amanzi Restaurant. Not to be missed. Live music on stage under the stars. Cash bar available, tickets avalable at Web tickets.